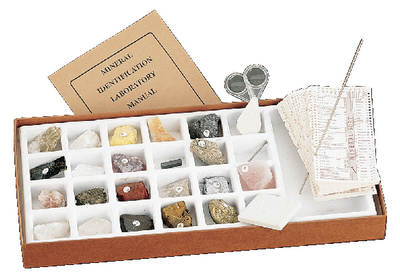 Teach your students how to detect various minerals by their hardness, luster, streak and color. Contains 20 minerals, streak plate, iron nail, magnifier and magnet. Also includes Sort Guides to help you accurately identify the sample.